Alpha Media Vice President and Market Manager Gigi South shares how their stations mobilized before, during and after Hurricane Matthew to keep their communities in Savannah, Ga., and Hilton Head, S.C., safe and informed, working around-the-clock to provide a lifeline to those affected by the storm. The Savannah – Hilton Head area has seen lots of hurricanes in recent years with little to no damage. We were hearing that Hurricane Matthew could be different. Residents and broadcasters were skeptical. Then, South Carolina Gov. Nikki Haley ordered a mandatory evacuation of the South Carolina coast and Georgia Gov. Nathan Deal followed soon after, getting everyone’s attention. We met with our programming staff to bring them up to speed on the track of this massive hurricane and solidify our plan. Most of the staff evacuated, leaving a small crew of broadcasters who would ride out the storm to make sure that the residents left behind had vital lifesaving information. We prepped the studio – it was boarded up like every storefront – and made contingency plans in case of tornados, straight-line winds or flooding. We bought an extra generator and a lot of junk food. We made arrangements for our own homes and families and met back at the studio Friday morning, October 7. Since our stations in Palm Beach were in Matthew’s path first, Alpha’s market manager there, Elizabeth Hamma, and I shared texts through the night with our Executive Vice President Bill McElveen. Once we were in the clear, we were able to pass along information to our stations in Columbia and Myrtle Beach, who did the same for our Greeneville/New Bern stations. At 6 a.m. Friday, October 7, we started a seven signal simulcast of live storm information with limited music and commercial breaks. Our coverage was led by Monty Jett, a lifetime Lowcountry resident with 54 years on the air. Monty knows every nook and cranny in our area and was able to speak to callers about specific areas, tides and even give BBQ restaurants as landmarks. Rob Walker (operations manager and program director), Gabe Reynolds (program director and digital content director), Mark the Shark Ediss (WXYY), Jake Thomson (WUBB), myself and our engineer, C.B. Gaffney, hunkered down in the studio through the weekend and into the following week. We cold brewed coffee and lived on junk food and Lean Cuisines thanks to a small extra generator. Alpha provided hotel rooms for the crew, but there were curfews and the team wanted to stay together so most took turns shift sleeping at the station on air mattresses. Since both states had ordered mandatory evacuations, they warned that there would be no emergency services available to residents who chose to stay behind. We heard from those residents all night and all weekend long. There was no power for several days in Savannah, Bluffton, Hilton Head, Beaufort or Brunswick. People get lonely, panicked and desperate when they are alone in the dark. We have many stories of how we connected listeners directly with other listeners for the help they needed. For instance, our on-air team helped to get oxygen delivered to a listener who was moments away from an empty tank. This was my second natural disaster, following the devastating Tuscaloosa tornado in 2011. Both times, I’ve noticed that afterwards, there is a new appreciation for local broadcasters. With Hurricane Matthew, there was no power in most of the area until the following Tuesday, some areas waited even longer. With no power, there is often no internet, no cell service and sometimes no TV. In natural disasters, radio becomes a lifeline. We don’t actually administer lifesaving help, we connect listeners to it. We heard lots of stories from listeners thanking us for being the only voices they heard for an entire weekend. Some had battery-operated or weather radios, others went to their cars to listen once the storm had passed, but they were still in the dark. The use of new technology was fascinating. Mayor Lisa Sulka of Bluffton held frequent press conferences to speak to her town via Facebook Live. She would let us know she was about to broadcast. We plugged a phone into the board and carried the conferences live. Thankfully, we had a generator to charge our phones! Having FM radio receivers in cell phones in these situations can be so helpful, providing another way for people to tune in to our stations and be informed in a crisis. Practically all smartphones have the hardware capable of receiving free FM radio signals, but not all phones have this feature activated. Unlocking the FM chip in cell phones gives us another way to reach our listeners without draining precious battery life with traditional streaming. We also recommend that anyone facing a possible natural disaster have back up cell phone batteries. Several of us had these packs and they were all used several times to power up. Our simulcast ended the following Friday, October 14. We were well into recovery mode, working with FEMA and local authorities in our various communities. We are back to the music with necessary Matthew updates. Our area still has a lot of work ahead to recover from Matthew and Alpha will continue to be there. We are grateful that lives were not lost here. Other areas were not as fortunate. That’s the power of local broadcasting. We are neighbors helping neighbors. Friends and family connected to the community. This is a vital role we are honored to fill in the Savannah, Ga., and Hilton Head, S.C., communities. Scott Goodwin, associate general counsel, National Association of Broadcasters, joins guest blogger Steve Traylor, executive director and general counsel, National Association of Telecommunications Officers and Advisors. Today, our organizations – the National Association of Telecommunications Officers and Advisors (NATOA) and the National Association of Broadcasters (NAB) – along with a local franchise authority in Minnesota, filed a lawsuit in federal court challenging the FCC’s decision this past June to upend the way it determines whether cable communities are “effectively competitive.” In our view, the Commission’s decision – made over the objection of two commissioners – was bad for consumers and wrong on the law. Under the 1992 Cable Act, local franchise authorities may regulate a number of the ways in which cable operators interact with consumers in areas that are not deemed to be “effectively competitive.” If an area reaches a certain level of competition in pay TV services, however, the local authorities are stripped of many of their consumer protection tools and the local cable operator is free to bill and set terms of service pretty much as it pleases. Last December in the satellite reauthorization bill, Congress instructed the FCC to make limited administrative changes in the processing of effective competition petitions filed by small cable operators. Congress asked the FCC to complete this relatively simple task within six months of the bill’s passage. The notion was that small cable operators lacking in resources could benefit from a streamlined filing process without substantively changing their obligation to prove that they are operating in “effectively competitive” areas. Rather than swiftly tackling this uncontroversial task, FCC Chairman Tom Wheeler instead opted to push through an order that turned Congress’s directive on its head. Instead of mere administrative changes, the chairman proposed to deem the entire country effectively competitive – about as substantive a change as one could imagine. To make matters worse, Chairman Wheeler also proposed to make this change for all cable operators – big and small. So what should have been an insignificant adjustment ended up being a sand-shifter that cable’s biggest players could love. How does this change benefit consumers? It doesn’t. Literally not at all. No one could even muster a serious claim to that effect. The Commission could only tell the public that this new direction would cut down on the time it took for big cable operators to file effective competition petitions (even though an operator could file one petition covering thousands of areas) and for FCC staff to process those petitions. In fact, consumers are the big losers in this sea change. By deeming the nation effectively competitive, the FCC stripped from local franchise authorities across the country their longstanding roles as cops on the beat. Without the power to protect consumers, local authorities are being pushed aside to allow for higher cable prices – especially for basic cable service – more mysterious fees, higher equipment costs, and the potential disintegration of the basic tier of service, including the loss of Public, Educational and Governmental (PEG) channels. It’s no wonder that a large group of U.S. senators and representatives opposed the FCC’s decision. This group includes Sens. Barbara Mikulski (MD), Patrick Leahy (VT), Al Franken (MN), Amy Klobuchar (MN), Jeff Merkley (OR), Edward Markey (MA), Ron Wyden (OR), Bernard Sanders (VT), Jack Reed (RI), Tom Udall (NM), Sheldon Whitehouse (RI), Sherrod Brown (OH), Tammy Baldwin (WI), Martin Heinrich (NM), Elizabeth Warren (MA) and Rep. Frank Pallone Jr. (NJ-6). Unfortunately, this action appears to be only the first step that the Commission may take that gives cable operators – yes, cable operators – more leeway in and less oversight over their customer service. Not only did the FCC vote to disable an important check on cable companies at the local level, but now it is weighing whether to dismantle part of our nation’s localized system of broadcasting, which ensures that every local community has relevant news and information available to them. This trend is even more disturbing in light of cable’s rapid consolidation and truly dismal customer service record. This hardly seems the time to put a thumb on the scale already favoring the cable industry. We filed this lawsuit because we’re hoping to preserve one of the last vestiges of active oversight against an industry that doesn’t treat its consumers as if it is subject to any, let alone effective, competition. While federal courts traditionally give agencies a great deal of leeway, we believe that this time, they’ll recognize that the FCC went way too far. 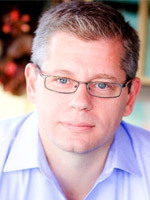 Guest Blogger Paul Brenner is senior vice president and chief technology officer of Emmis Communications Corp. Brenner works both within the broadcast industry and with pure-play IT development companies. He currently serves on NAB’s Digital Radio Committee. The radio industry needs to “own” a unique technology. Google owns search. Wireless companies own the mobile subscriber. Facebook rules the social platform. Apple dominates the app and music store. Pandora is the go-to for user-programmed streaming. As an industry, radio by revenue and consumer consumption should by all accounts own something in the technology sector. While many can successfully debate that radio owns the local advertising market and in-car listening time, those are not technology driven growth opportunities. Those outside of radio, and a few naysayers inside radio, debate that radio has a place in the future at all. Radio broadcasters can make hybrid, interactive radio on smartphones the technology that consumers look to as the reinvention of local broadcast radio. NextRadio, the only hybrid FM app available, can be the ultimate hyper-local platform with mass market local radio stations using calls-to-action and thousands of local sellers to own mobile advertising and the growing mobile ad market. Consumers can benefit from enhanced content on the radio dial, efficiency of FM radio (more handset battery life, lower data bills) and most importantly, keep radio at their fingertips in times of emergency. So, in this changing media and technological landscape where the mercurial consumer bounces between seemingly endless apps and choices, what unique offering can radio provide? Hybrid radio is the term being used ubiquitously to describe a melding of one-way technology (like broadcast radio) with two-way technology (like mobile broadband). Traditional broadcast radio is the most efficient way to reach the mass market with entertainment and information. Two-way technology may be better at direct one-to-one engagement with the consumer, but is not the best solution to deliver mass-market content for technical and economic reasons. When we launched NextRadio for FM smartphones and connected cars, our creative intent was to visualize the value of FM radio as localism, calls-to-action and well programmed radio stations to translate the strongest relationship elements into a system that would automatically link to the two-way smartphone. “Hey listeners, call this number, text-to-win, attend our promo event, go to this website!” Simplicity is extremely difficult but if you look at what Google, Apple, Twitter and others “own,” they keep it simple, and I think we have achieved something similar with NextRadio. People listen to local radio. The numbers show that. In a recent focus group performed by Coleman Insights, NextRadio on an HTC One Red smartphone was put in the hands of people of all ages and genders. Two reactions were common. “Wow, this is cool.” What?! Radio IS cool. In this world of Twitter, Snapchat and Angry Birds, “This is cool” is exactly what you need to hear from this generation. The second reaction was, “Huh, I didn’t know I could listen to FM radio outside my car.” If you are a broadcaster you should be swallowing a big lump right about now. Usage curves of FM radio show morning drive and afternoon drive as the times people listen to radio in the car. If we want to sustain and grow the broadcast radio industry, we must make radio cool again and educate listeners on its availability outside the car. NextRadio launched with Sprint in August of 2013. One phone, the HTC One, was our soft launch and this was our opportunity to work out the prototypical system bugs. By Black Friday 2013, we had five more smartphones to launch and about the time people started unwrapping their Christmas gifts our install rates and listening became a hockey stick curve. NextRadio now has over 400,000 activated users and is growing daily. FM radio is preloaded on 15 Sprint, Boost and Virgin Mobile phones. Over 30 models will be FM-enabled and commercially available by the end of this year, and tablet development is in progress. What does this mean for incremental FM listening, assuming people would otherwise be listening to streaming music on their smartphone? The first quarter of 2014 saw month-over-month listening grow an average of 56 percent. And, those smartphone listeners are listening primarily between 10 a.m. and 3 p.m., outside of their car! Looking at the current forecasts for FM-enabled smartphone sales of 3-5 million units in Q2 2014, we expect by mid-year 2014 to have at least 5 million FM-enabled smartphones in the hands of consumers and continuing to grow. Broadcasters need to care a lot about this evolution. Why? Because the first time that consumer launches NextRadio and hears local FM radio, they will make a choice instantly to either continue using FM radio on their smartphone or switch to an internet-friendly, visual alternative. 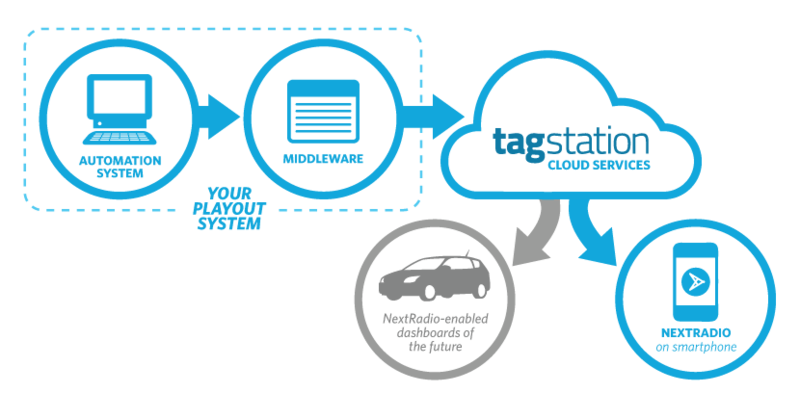 Broadcasters can use a tool like TagStation to create an experience that radio can own. This is how the radio industry looks to the future: by blending what we are great at with what the consumer expects in today’s tech heavy world. Lastly, but most importantly, is the public service aspect of FM in smartphones. My parents live in rural southern Indiana. Recently, tornadoes and 120 mph winds hit their town. The house of my 75+ year old parents was damaged and they were without power for three days. Mom had switched to a smartphone some time ago to be part of the texting and picture sharing world of grandchildren. However, in the event of the storm and soon after, I could not reach her on the phone. As day two and three wore on, my mom and dad needed help so my sister drove out to them. My parents had naturally turned to radio and TV for help, yet neither was available. Yes, I had told my mom to get a Sprint phone, but she is a Verizon customer. Maybe I can change that based on this emergency. The moral of the story is: radio is a lifeline to people in emergencies to give them comfort and much needed information. FM-enabled smartphones can be one way of helping people in times of need, especially when other resources are not available. Radio can truly own something unique with NextRadio. Consumers will benefit from interactive FM-enabled smartphones, and in an emergency when people need a lifeline for information, the FM radio will be the distribution platform most likely to be there for them. Make your radio stations interactive for NextRadio, promote the value to your listeners, and in the words of David Pogue at the 2014 NAB Show, stand on the mountain top and tell everyone about NextRadio.